Slice Safety Cutter Review - Great for Couponers! Slice™ Safety Cutter - Great for couponers and for anyone that needs to cut anything. :) I tried cutting my finger on this and couldn't do it, which makes it safe to keep in your purse. 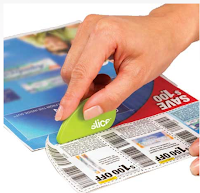 Not only does it cut coupons, but it is great for packages or cd/dvds! There is also a hole so you can put it on your keychain! I really love this tool and recommend it for everyone! 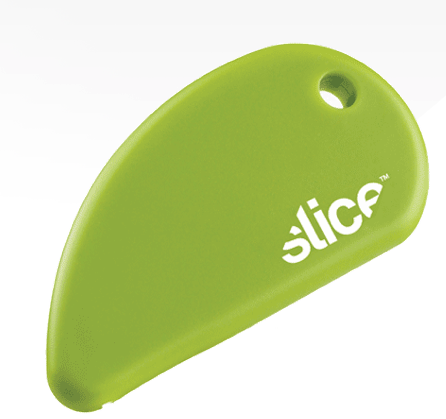 The Slice™ Safety Cutter is the most versatile tool you'll ever own. 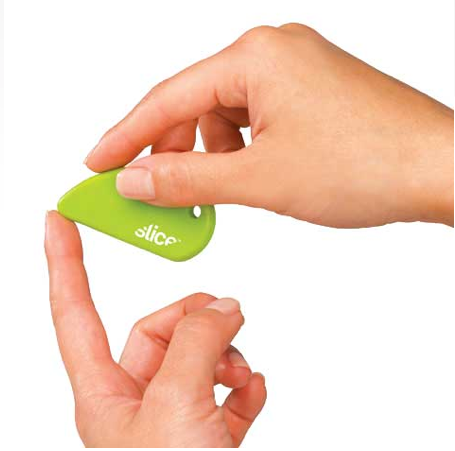 Features a finger-friendly microscopic ceramic blade that's quick, easy and a safe substitute for scissors. Perfect for scrap-booking, clipping recipes, coupons and news articles, removing shrink-wrap, opening CDs, DVDs, and plastic packaging, and more. Includes a built-in magnet and key-ring hole. This looks like a great product! With 3 kids around, I'm always concerned about safety. Thanks for the great review. I think it is an awesome idea! I really want one of these.